It has been a busy week for sports at FHS this week. The swim team had a meet on Wednesday against Nordhoff, they have a meet on Friday against Villanova, and on Saturday they are hosting an alumni meet. The Volleyball team had a game against Nordhoff on Wednesday and they have another game scheduled for Saturday. Softball had a game on Tuesday against Oaks Christian and Baseball had a game on Wednesday and has one on Friday as well. The Track team has a meet on Thursday. 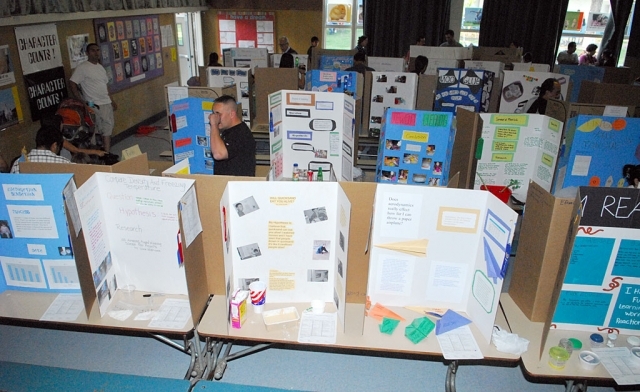 The Art Show was on Tuesday and was a huge success. All aspects of the Arts at FHS were included; photography, drama, music and visual arts were all showcased at the annual event. 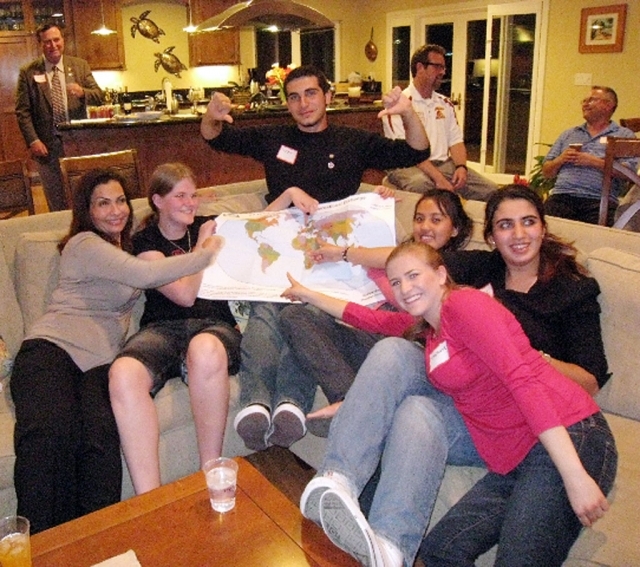 (left to right on couch): Wafa Munif, 53, YES Program staff from Saudi Arabia; Anne from Denmark, a sophomore at Rio Mesa High; Heja, a Turkish YES student and senior at Moorpark High; Shervina, a Filipino YES student and senior at Fillmore High; Nur from Turkey, a senior at Oxnard High; and Stephanie, an American AFS Student who studied abroad in Italy in 2006. 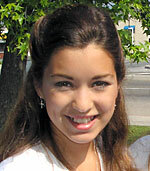 These exchange students have been in the United States since August 2008 and will return home in June. 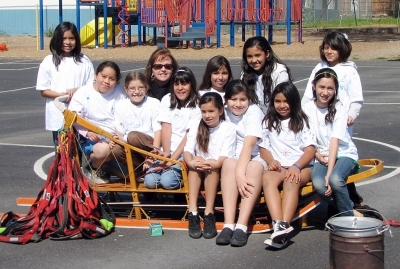 In the background are several adult volunteers with the local AFS chapter. "I was once jailed two days for driving," said Wafa Munif, Youth Exchange and Study (YES) Program staff from Saudi Arabia, on a visit to Ventura last month. Ms. Munif, 53, attended a YES conference in Washington DC, and completed her trip in Ventura County to promote the program to local high schools--and to get to know local exchange students, their host families, and the volunteers who work with them. She spoke with Fillmore High School students during their World History classes. She explained that several women in her home country of Saudi Arabia protested the fact that women couldn't drive by, well, simply driving. The women--including her--were arrested and jailed. Her husband had to bail her out, at a cost of $10,000. "It was a mess!" she said. "But we have to do something." It is this same passion to change the world around her that Munif works for the YES Program in Saudi Arabia. The U.S. State Department-sponsored scholarship program brings high school students from countries with significant Muslim populations to the U.S. to create a better understanding between Americans and these countries. AFS (formerly known as the American Field Service) is the lead student exchange organization for the YES program. If you want to learn more about student exchange, becoming an exchange student yourself, the YES program, or about hosting a foreign exchange student through AFS, we want to hear from you. AFS brings wonderful students from more than 50 countries to learn about our culture and teach us about theirs. Hosting is a life-changing opportunity that literally builds ties across the globe. To find out more please visit www.afsusa.org. Peace Through Understanding. Be a part. The Fillmore Noontime Rotary hosted the Fillmore High School exchange students. They are L-R Sunande from Switzerland, Franziska from Germany, Shervina from the Philippines and Samantha from Hong Kong. 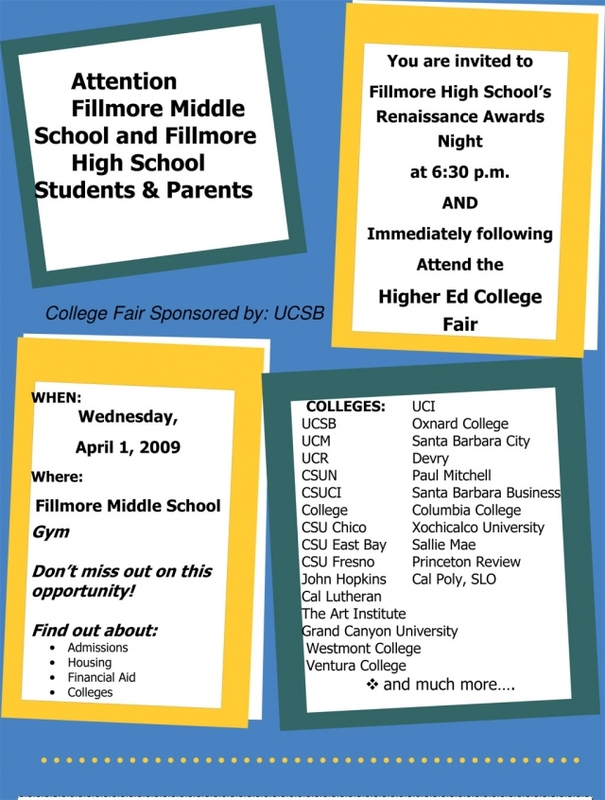 Fillmore High School Visual and Performing Arts Department will be celebrating student artists and performers at our 11th annual Arts show. The exhibit, sale and performance will be held in the Veterans Memorial Building on Second Street. There will be drawings, paintings, ceramics, photos and wood projects to view and for purchase. 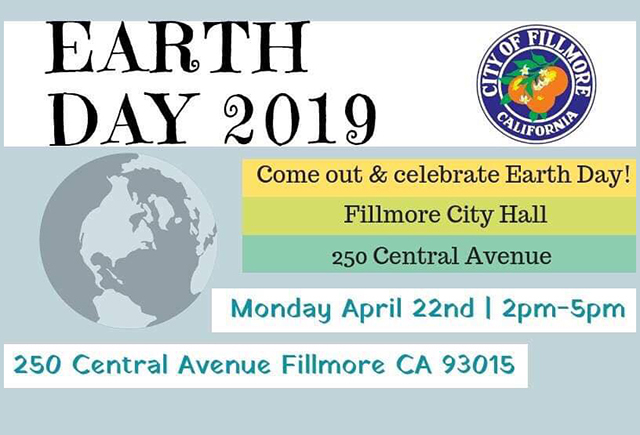 The Fillmore High School Band and the Fillmore High School Percussion Ensemble will be performing. The drama department will also be performing as well as selling DVD's from this seasons hit "Trouble in Dustville". 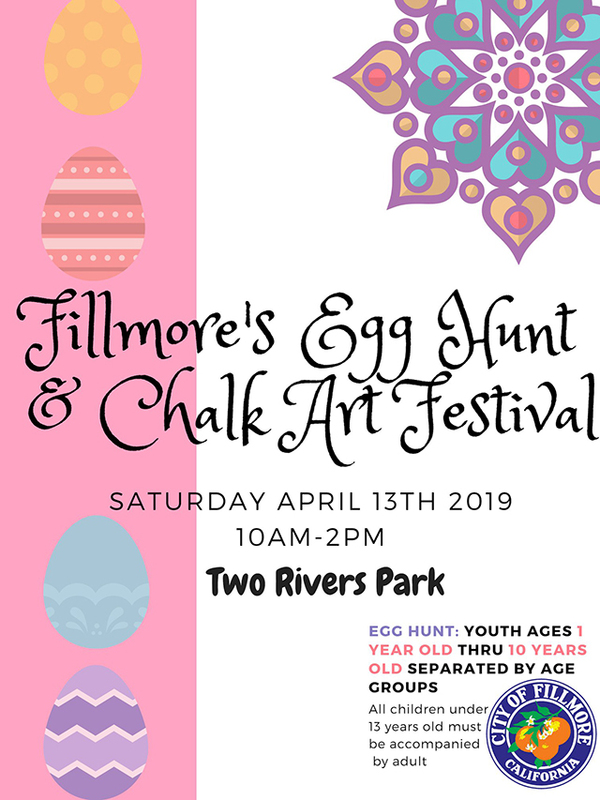 Fillmore High School Fashion Club will be selling tie-dyed t-shirts at the event. The show is patterned after a real life art opening. Not only is the art of high school students showcased, but also students “run” the whole event. They plan and organize it, design the invitations and flyers, mat artwork and “hang” the show. They act as hosts and hostesses on the evening of the event, handle sales, answer questions, and cleanup. The public is invited to attend "Art Hysteria" on April 14th from 6:30 p.m. until 8:30 p. m.
SACRAMENTO – State Superintendent of Public Instruction Jack O’Connell today announced that 261 California middle and high schools have been selected as 2009 California Distinguished Schools, an annual award that recognizes some of the state's most exemplary public schools. 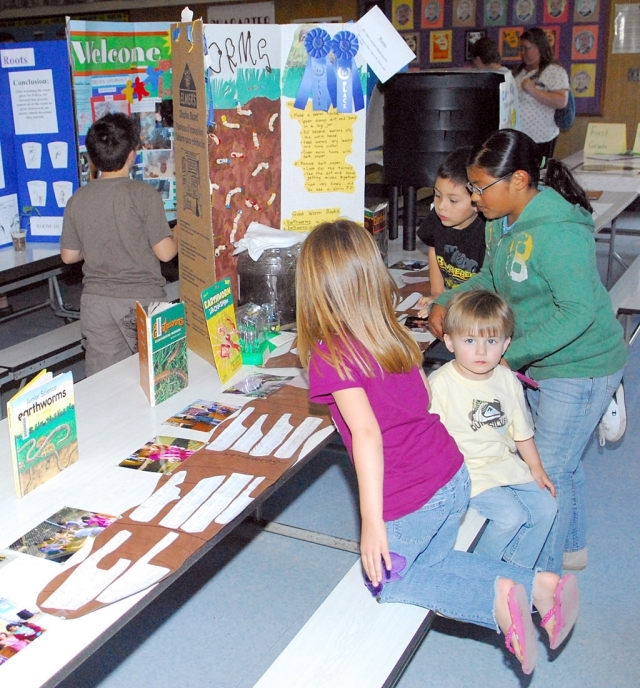 Piru Elementary students went to college this week as part of Piru’s Reaching Higher in ’09 Academic Achievement Focus. Six buses, three destinations, 300 permission slips and lots of phone calls later, Piru students all attended college on Monday, March 30th. 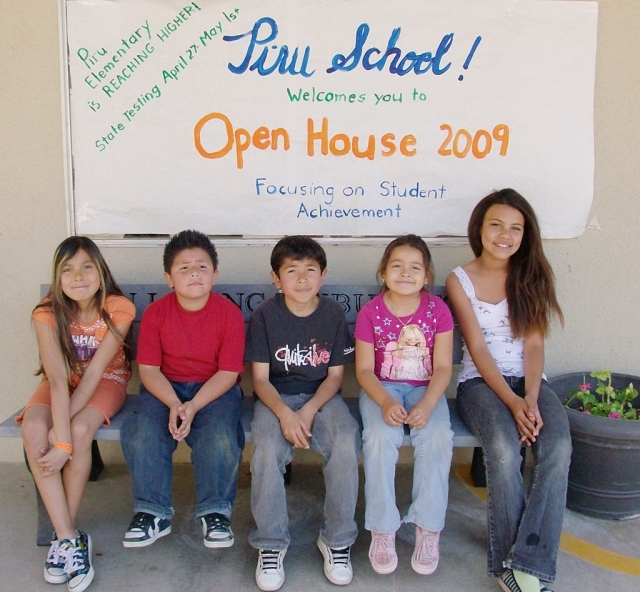 The visit was part of Piru’s Reaching Higher in ’09 Academic Achievement Focus. Kindergarten and first grade students went to Moorpark College and thanks to support group Friends of Piru, were able to add an Exotic Animal Show to their College Tour. Second and third grade students journeyed further to Cal State Channel Islands where they were guided by former student Jim Schaper around one of the newest California campuses! Fourth and fifth graders were awed by the highpoints of the University of California at Santa Barbara, including: lecture halls, the dorms, the recreation center, the Thunderdome, and of course, the lagoon and beach. All students agreed college looks like lots of fun! Many thanks from Piru are sent to Fillmore High School Mentors, Elizabeth Fernandez and Samuel Cruz; UCSB Outreach Coordinator, Olivia Palacio; UCSB Guides, Robert Barrera and Stan Levine; Miss Breanna Christie from Cal State Channel Islands; and Mr. Khutug from Moopark College. Special thanks are offered to Mrs. Lynn Edmonds, former principal of Piru Elementary, who wrote the CDBG grant which paid for the buses, and Police Chief Tim Hagel who is constantly looking for ways to support students and facilitate life changing experiences for kids. Piru students are back in elementary classes today, but with a different outlook and level of motivation. Piru students are going to college! 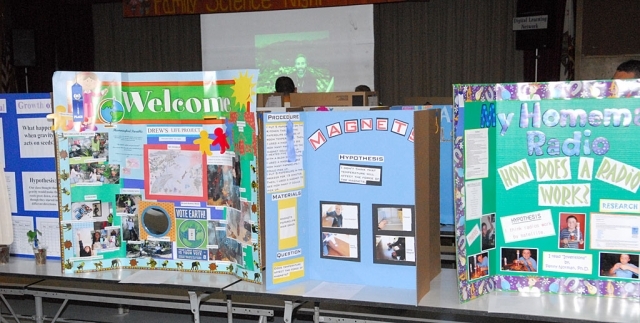 On Wednesday, March 18 and Thursday, March 19, Piru Elementary held Open House 2009, “Focusing on Student Achievement.” The two night event allowed all parents a chance to spend a full half hour listening to each of their student’s teachers to talk about reading fluency, writing rubrics and math computation. 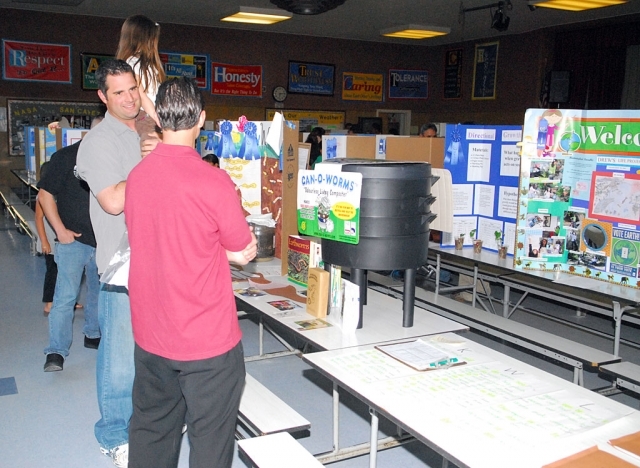 Staff was thrilled to note that over 80% of parents showed up to team with them to boost Piru Student Success. All PIRU STUDENTS, it was also announced, WILL BE ATTENDING COLLEGE...on March 30, Piru Elementary’s first annual college outreach. GEE! HAW!! WHOA!!! What does that mean? Well, students at San Cayetano can sure tell you! They have been studying the 1,150 mile Iditarod Dog Sled Race, and they can tell you not only the meaning of those commands but all about Alaska, the individual mushers, and the history and rules of the race. Students and teachers each chose the musher they thought was going to win this year and “became” that musher for the entire race, getting to know the musher’s life history and charting progress made at each checkpoint. 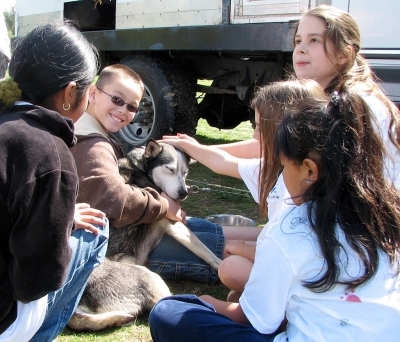 By using the website www.Iditarod.com, students were able to get up-to-the-minute details of the entire race, including video footage of what was happening each day on the trial. 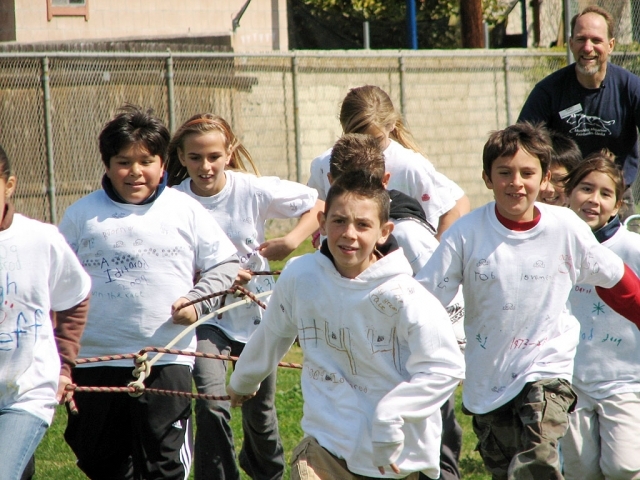 The campus was filled with anticipation, excitement, and a sense of friendly competition as students and staff cheered for their chosen mushers. To further enhance their study, San Cayetano was recently visited by Wrightwood musher Robert Stradley and his two sons, Trent and Talon, who shared their knowledge of the race and their personal racing adventures. 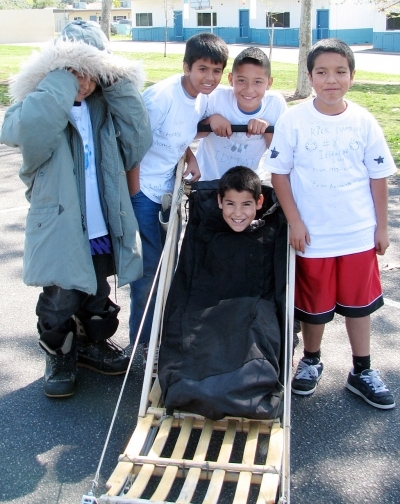 Students rotated through a series of stations which included: exploring equipment used by mushers, grooming nine of Stradley’s sled dogs, creating musher t-shirts, making their own lead dogs from socks filled with rice, learning the positions of a dog team and practicing the commands while pulling a dog sled. So although Alaska is miles away from Fillmore, the students of San Cayetano felt like they were right in the heart of the race, enjoying every minute of their Iditarod experience! For more information about Robert Stradley and his programs, you can visit his website www.adventurequestinstitute.org. 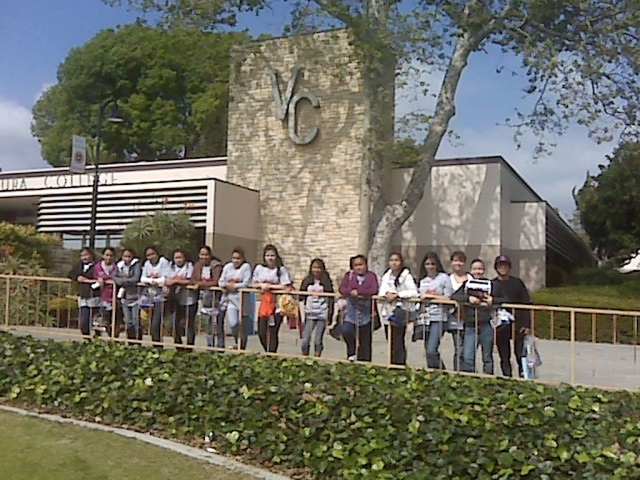 Fillmore High School and Fillmore Middle School students participated in the Ventura College MESA Program S.T.E.M. Conference on Saturday, March 14, 2009. 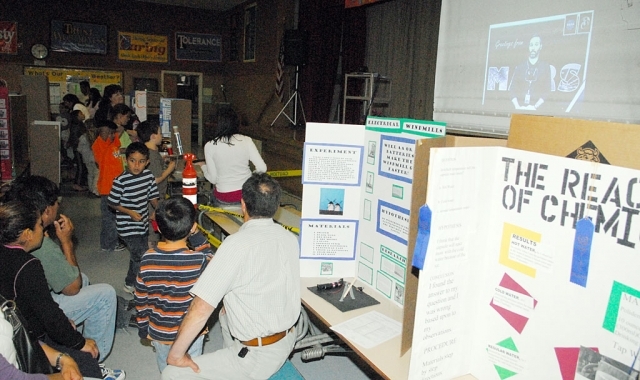 The San Cayetano Science Faire, Tuesday, was hosted by the school’s NASA Team. 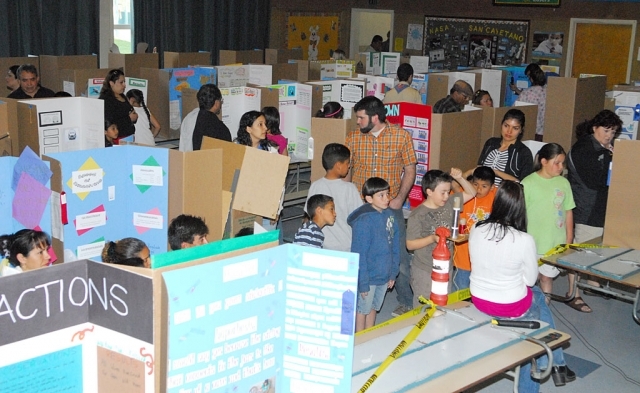 All elementary students in Fillmore and Piru participated. The fourth quarter has just started, and FHS is getting ready for state testing. The California High School Exit Exam was last week, and it went well. Teachers will begin reviewing for the state tests soon, our goal is to have an API of at least 700. We met our goal last year, and to get students pumped up for this year’s tests we will have rewards for students who improve their test scores. The Battle of the Sexes week is this week, and included dress-up days, and a week long game of “The Bachelor” – Perry West was the school Bachelor, and 16 lovely ladies began competing on Monday for a ticket to the Sadie Hawkins dance and a gift card to Olive Garden. There will be a rally on Friday, followed by the Powder Puff football game at 7:00. The dance is on Saturday at 8:00pm at the Boys and Girls Club. Softball had a game on Tuesday against Oak Park, Baseball has games on Wednesday and Friday against Saint Bonnie. Swimming has a meet on Wednesday against Santa Clara, and Track has a meet on Thursday against La Reina and Saint Bonnie. The Ventura County Contractors Association’s (VCCA) Construction Education Fund created the Ray Prueter Scholarship designed to aid students in the local community who seek to continue an education towards a career in the construction field. The scholarship fund is financed through the VCCA’s 2008 Summer Golf Tourney and contributions from more than 700 VCCA members. In 2008, VCCA teamed with the local chapter of the National Association of Women in Construction (NAWIC) to award $17,000 in scholarships to students pursuing a career in the construction industry. “The goal of the VCCA Construction Education Scholarship Committee is to ensure that vocationally oriented students have the opportunity and support to begin a career in the construction area,” said Laurie Bennett, VCCA Construction Education Scholarship Committee chair. “We feel it is important help local students with the funds necessary to pursue an education in the construction field, so that they can come back to our community and contribute to this exciting industry,” said Tommy Tatangelo, president of VCCA. 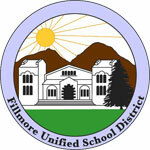 Who: All elementary students in Fillmore and Piru. Hosted by San Cayetano’s NASA Team. Ventura County Astronomical Society, Dept. 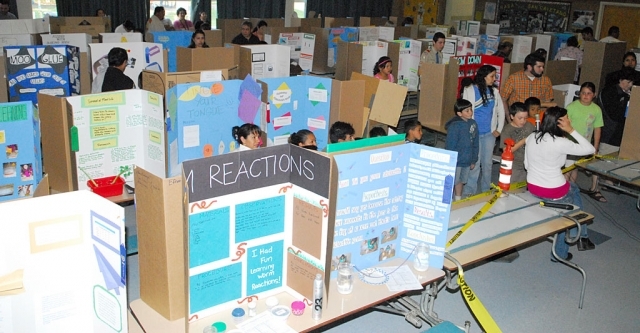 of Water Resources, California Oil Museum, UCSB Physics Circus, SBVC Dental Care Foundation, United Water Conservation District, California Condor Recovery Program, Channel Islands National Park..
San Cayetano’s Science Fair Projects will be on exhibit. 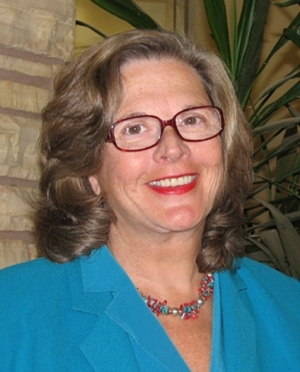 VENTURA: Dr. Kay Faulconer Boger, Dean of Economic Development and Off-Campus Programs, was named the winner of the California Community College Association for Occupational Education (CCCAOE) 2009 Excellence in Leadership Award. The Award Luncheon will be held in San Francisco in March. 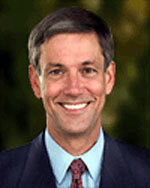 Dr. Faulconer Boger joined the Ventura College team in 1981. 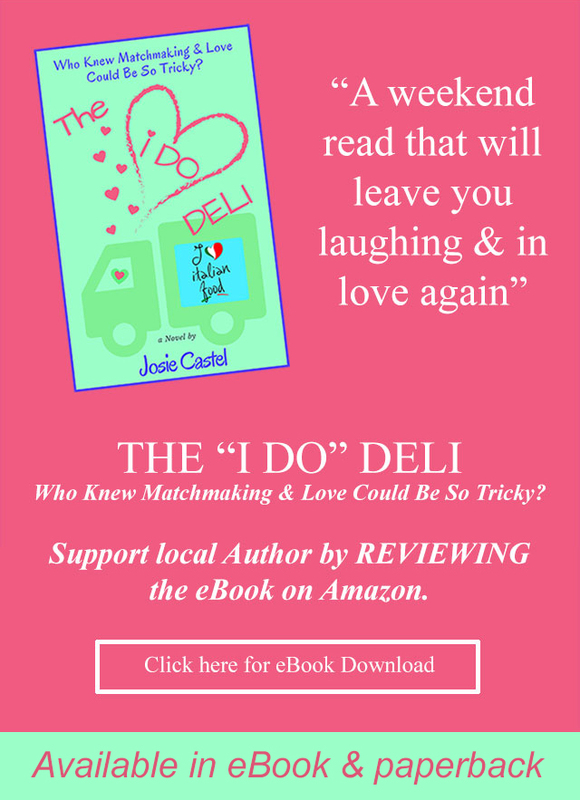 She earned her Bachelor’s degree from CSU Northridge, her M.B.A. and Master’s degrees from Pepperdine University and her Ed.D. from the University of Southern California. The CCCAOE provides leadership for occupational education and economic development professionals involved in workplace development and the enhancement of California’s position within a global economy. 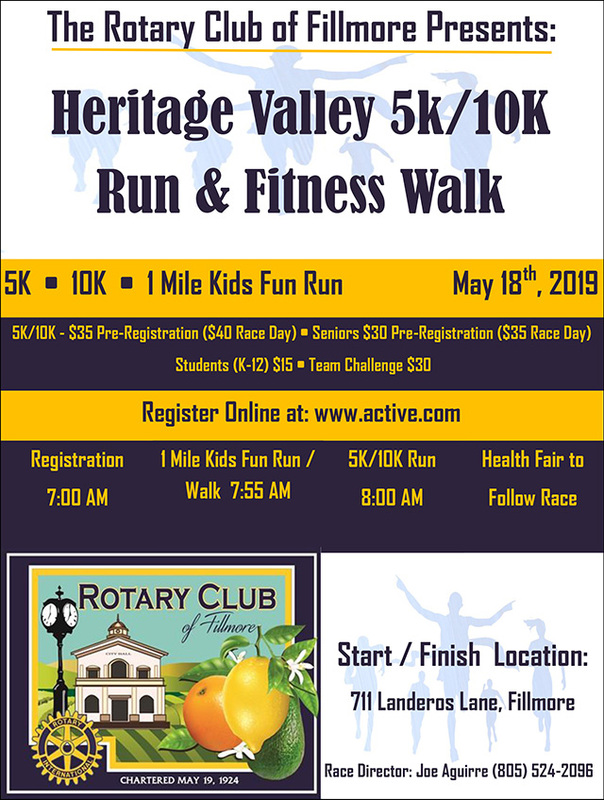 For more information, contact Dr. Faulconer-Boger at 805-654-6368. VENTURA: The Ventura College Psychology Club is hosting an interactive event designed to encourage students and the community to think carefully about the short and long term effects of alcohol and substance abuse, right in time for the extended party-time known as Spring Break. The Project will be hosted by the Club on March 27 (Friday) from 8:30 a.m. — 1:30 p.m. on the lawn between the LRC and the Science Building. Beer Cups are provided and the public is invited to participate by creating a tribute cup to those lost or injured to substance/alcohol abuse, visiting the resource booths and hearing the speakers. • Mike, former addict and current counselor, 8:30 a.m.
• Special Guest, info on DUIs and their aftermath 10:30 a.m.
• David and EMT, 12:30 p.m.
For additional information, please contact Professor Lucy Capuano Brewer at 654-6400 ext. 1395 or Public Information Officer Alisa Moore at 654-6462. VENTURA: In celebration of National Week of the Young Child, the staff and students at the Ventura College Child Development Center are pleased to invite the public to their “Family Fun Day” to be held at the Center on the Ventura College Campus, Sunday, March 22, from 12:30 p.m. to 4:00 p.m. The event is planned and presented by the students of the Ventura College Child Development instructional program. The Child Development Center is located on the corner of Telegraph Road and West Campus Way, in Ventura. Free parking is available in the lots next to and across the street from the Center. The event is for children 18 months old through eight years old and their families. The fees are $4.00 per child, 18 months and older, and $2.00 per adult. Tickets are available at the door. All children must be accompanied by an adult. Food and cold drinks will be available for purchase. 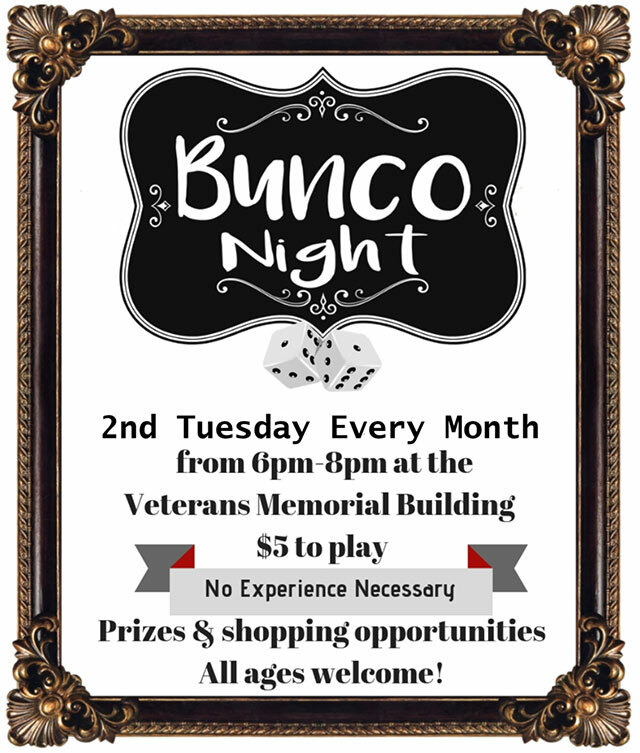 Proceeds will go toward new playground equipment and materials for the children’s center. A great afternoon for children 18 months thru 8 years and their families… Come ready for lots of hands-on play including art, science, woodworking, bubble play, pretend play, and so much more! For additional information, call Robin Douglas, Child Development Center Supervisor at (805) 648-8930.